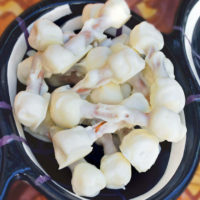 Home » Recipes » Edible Skeleton Bones and Other Halloween Treats! Edible Skeleton Bones and Other Halloween Treats! Spookify your Halloween party menu with these easy and fun Halloween Treats, especially these Edible Skeleton Bones! After all of this serious cooking, I’m ready to have some fun! I love finding silly recipes for Halloween. Whether it’s for my kids’ classroom party or our annual neighborhood block party, my family and I really get into mischief with Halloween. And with some kid-friendly, Halloween-inspired snacks to serve, everyone will get into the “spirit” of things! These skeleton bones (click here for recipe) aren’t for your dog! They are easy to make and the kids will love the sweet and salty combination. 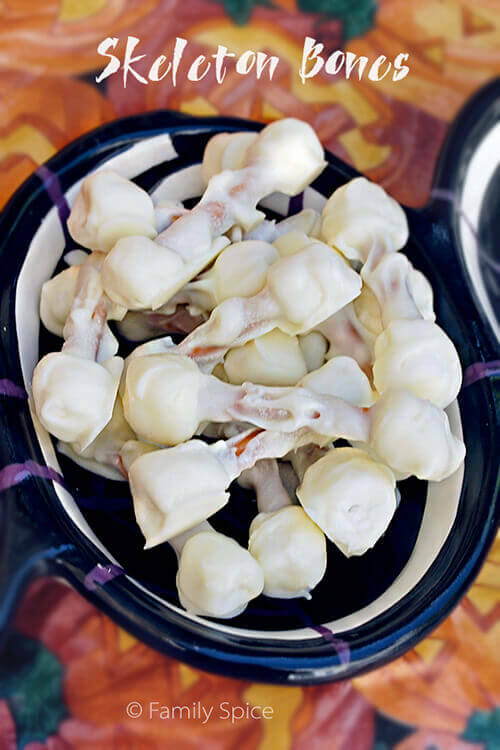 Made from pretzel sticks, mini marshmallows and melted chocolate, these baby bones will be gobbled up quick! Not everything you serve to your ghoulish guests has to be full of sugar! 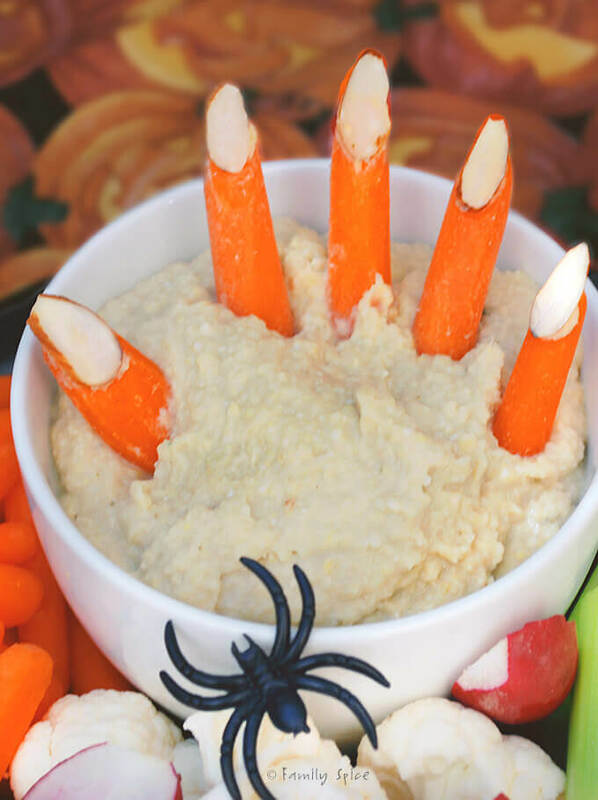 What every Halloween party needs is the classic hand-in-the dip! Use your favorite dip or hummus (click here for recipe). For the hands, cut down carrots for fingers, and use the dip to glue down your almond fingernails! 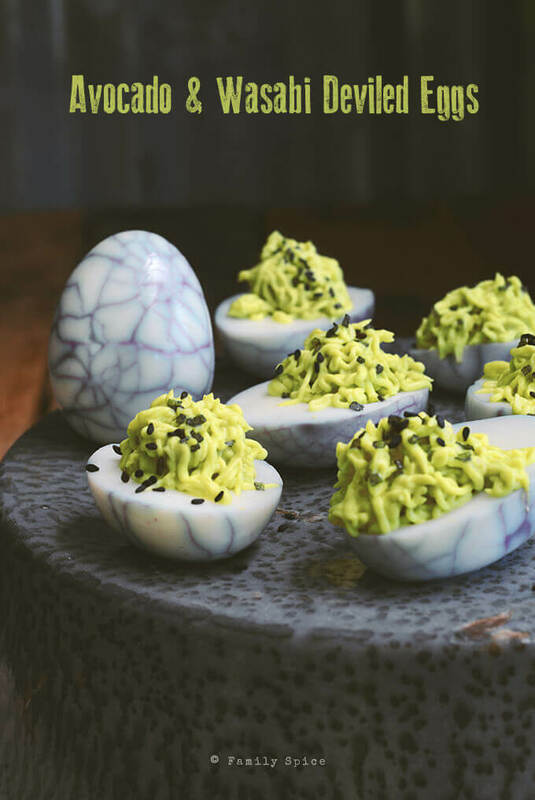 For something really creepy AND delicious, then you’ve got try these Avocado Wasabi Eggs. How about a classic, before I sign off: Caramel Apples (click here for recipe). Hello??? 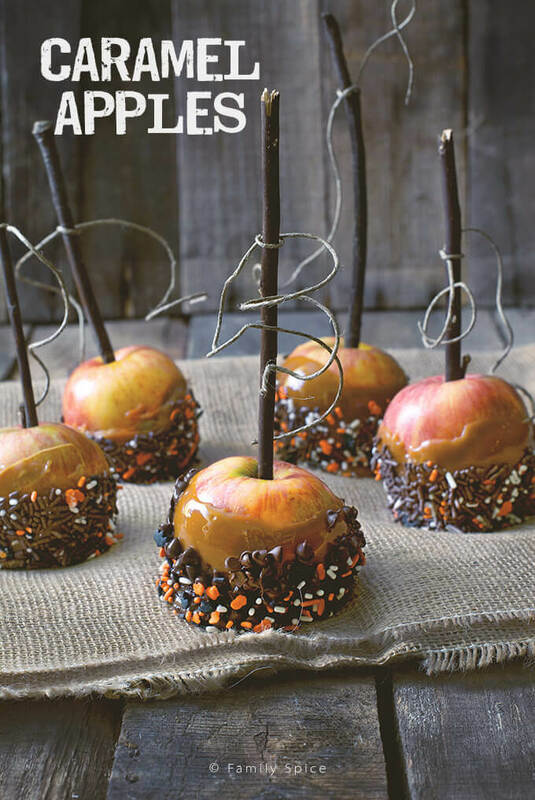 What says Halloween or Fall more than caramel apples???? Got pie? 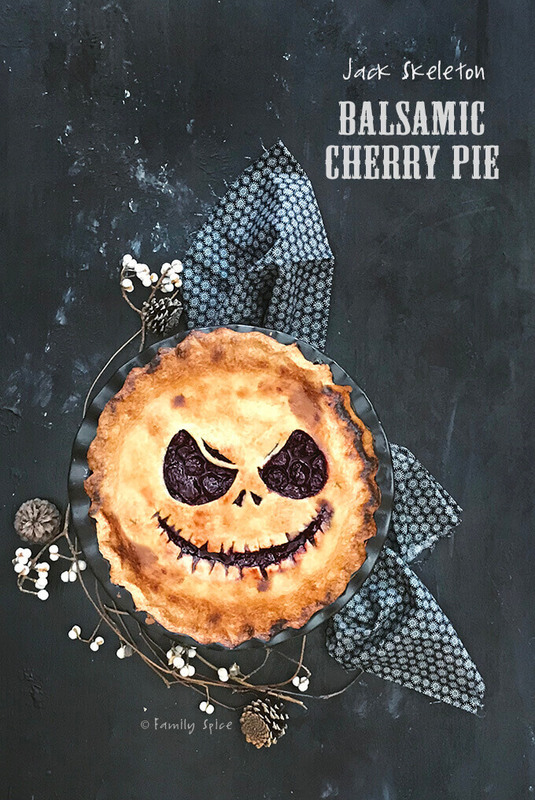 This Jack Skeleton Balsamic Cherry Pie is fun to make, is very spooky and I have a PDF template to help with the pie crust. 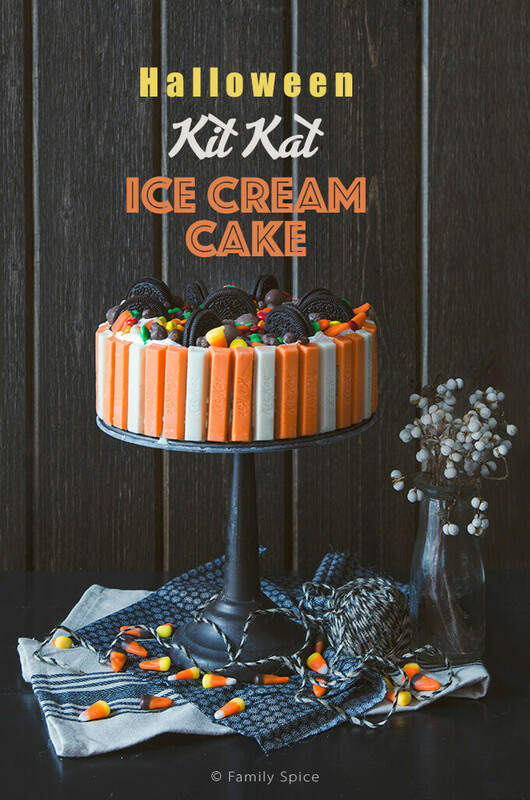 If you aren’t too talented with the piping bag or homemade pies, this Halloween Kit Kat Ice Cream Cake is no bake and super easy to assemble! 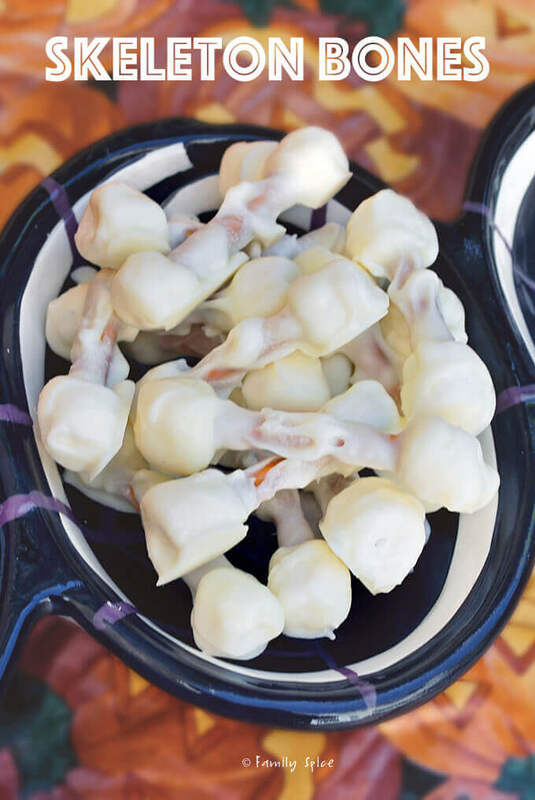 Spookify your Halloween party menu with these easy and fun Halloween Treats, especially these Edible Skeleton Bones! 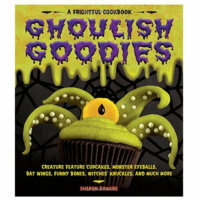 From the cookbook, Ghoulish Goodies by Sharon Bowers. Assemble the bones by pushing both ends of the pretzel stick into the flat side of the mini marshmallows. 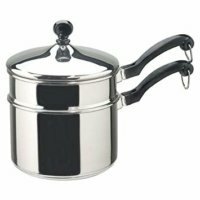 Place white chocolate chips in a double boiler over just simmering water. Stir frequently until chocolate chips have melted. As soon as chocolate chips have melted, remove the entire double boiler from the heat. Dip each pretzel-marshmallow bone into the melted chocolate and lift out with a fork, letting the excess drip back into the bowl. 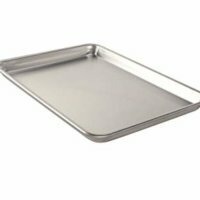 Lay the bones on the prepared baking and refrigerate for 30 minutes to harden the chocolate. Store in an airtight container in the refrigerator. I love all of it, so much. I have a recipe for finger cookies now I want to make them and all these too. What fun treats! They are great for a nice and spooky Halloween party. How fun and creative! I love the healthy ideas too! We will have to give a few of these a go! thanks for sharing!